It seems that Canadian ISP's have started sending warning letters to users who file share according to a segment that CTV Montreal aired. I do believe that it's happened before, I just don't have any sources to cite. Sorry. Tania Krywiak did a good job at getting the point across to non techies. There were some minor points I felt could be expounded upon. Bittorrent is merely a protocol and not inherently used for illegal P2P. There are legal uses. Bittorrent doesn't download movies, people do. ISPs must merly get a complaint against an IP address, no proof of copyright infrigment is required. Just a complaint. Look to New Zealand's internet blackout for the issues this raises. I really liked the fact that Canadian Copyright Law was mentioned to be outdated and ill prepared for the digital age. 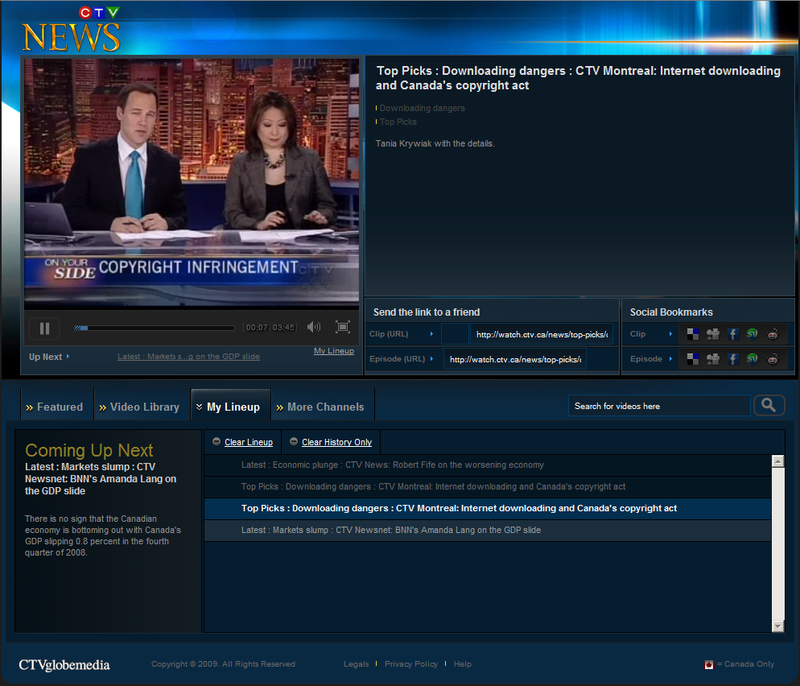 Also, it was about time that CTV updated their video player. I would like to see some embed functionality, but this is a huge step forward over the old streaming video. iTunes randomly seens me alerts based on what I've bought or what I've asked it to alert me about (I'm not quite sure what the procedure is on this). 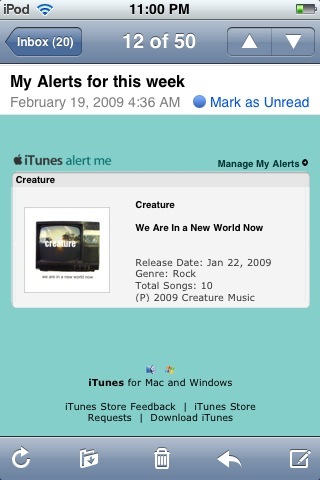 When I received an email telling me Creature, my fav Montreal band had a new album out I immediately purchased it on my iPod Touch on the way out the door in the morning. Wow, I thought they really changed their sound and they even sound British now. Well it turns out that this Creature is not that Creature. Got it, well I know I was confused. This UK Creature is just on the fringe of what I'd go for. They are reminiscent of Radiohead (and I thought Elastica as well). It's a tad on the slow side for my taste. Most of the songs are melodic thought they do build throughout, which I like. So it's not the end of the world but now I'm really looking forward to Creature's next album. Thanks to all my FaceBook friends for bringing this to my attention. 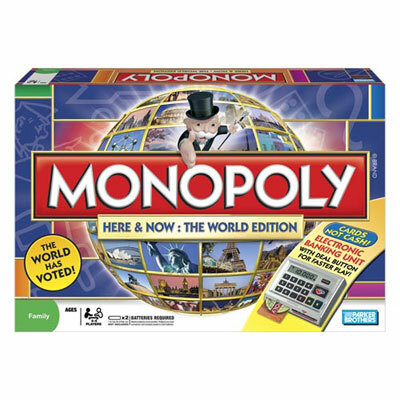 Earlier this year, Hasbro held an online vote as to which world cities would be included in the new Monolopy Here & Now World Edition. Today it was announced that Montreal tops the list of the new game along with fellow Canadian cites Toronto and Vancouver. 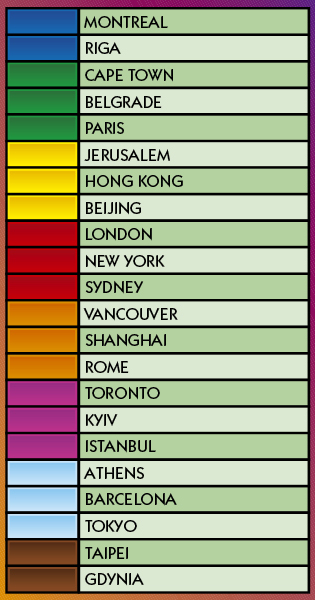 Only China has the same number of cities represented on the new board layout. While I am excited and can't wait to buy this version, I do realize it will quite a few years until we can play as a family around the dinner table. I understand that modernization of such a classic is inevitable but I feel nestoligic for some of the old mainstays left behind in the name of progress. The paper money and the time it took to count out what was owed is now replaced by an electronic debit system. So long to Water Works and Electric Company and hello to Wind Power and Solar Energy. And passing Go now fetches you a two million dollar payday. On the other hand, than debit machine better do me some good when it comes to figuring out the Luxury Tax and the mortgaging of property when you are dealing in the millions. Thanks mom for all those years of math help. The local news also covered the announcement. Did your city make the game? Any you think shouldn't have? Beijing might have got the Olympics, but Montreal got Monopoly! 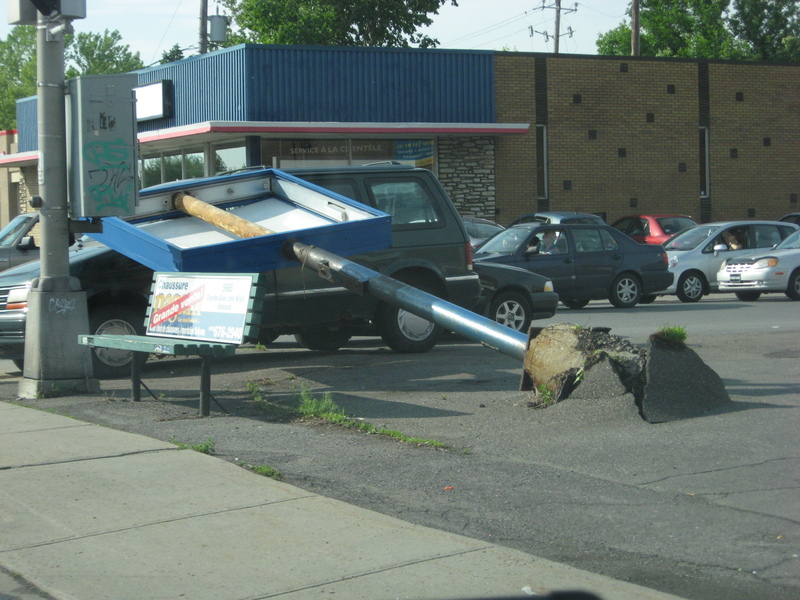 Just in case you missed it, there was a HUGE thunderstorm in the Montréal area Tuesday afternoon. Trees down, lawn chairs and gazebos missing from backyards. The usual stuff when the winds hit a hi of 110kmph. The biggest thing that happened was that seven transport trucks flipped over on the Champlain bridge which is one of four links to the South Shore from Montreal. And it was closed for several hours during rush hour. Needless to say Donna was not amused with the additional hours it took to get home. CTV Montreal has a segment where you can see some footage of the trucks being righted on the bridge. Crazy stuff. If you've seen my Facebook status or been following me on Twitter the last 24 hours, you'll know that we're still out of power at home and Hydro Quebec says it might not be back for another 24 hours. The upside, my neighbours across the street have power and an open wi-fi connection so I can get online with my iPod. 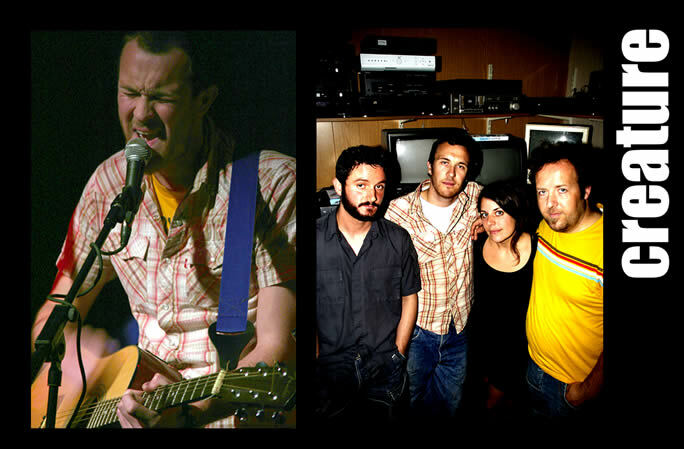 Downside VOX doesn't interact well with my iPod and has no mobile version. So no leaving of comments or posting. I'm just glad I prepared for the worst today and charged all my batteries, cell phone and iPod at work. If anyone else is still without power or seen any crazy damage somewhere let me know or post some photos! In Montreal there has been a few attacks and stabbings of late in the Metro and the culprit seems to be iPods. No, the iPods aren't stabbing people but muggers sure are and portable music players are very tempting target. Yesterday CTV Montreal News covered the trend and SPVM has advised people to keep their iPods out of sight on the Metro. That's good advice, unfortunately in today's fast paced, sound byte news they left out a critical point. 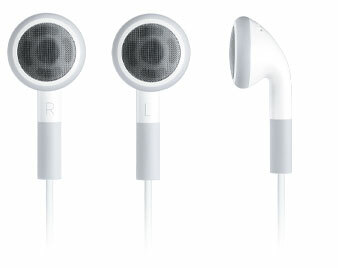 When out in public ditch those trademark white ear buds for anything else. Nothing screams I've got a $300+ music player and come and get it like those do. And if you want to go to extreme lengths, you should always carry an old media player along with your iPod so you can hand that over when / if mugged. Because we all have a few of those lying around. Think of it as recycling . Originally we had planned to visit the Butterflies Go Free event at the Montreal Botanical Gardens, but after being told that we'd had to stand in line for 3 hours (with 3 children under four, two pregnant ladies and my mom) we thought better of it. 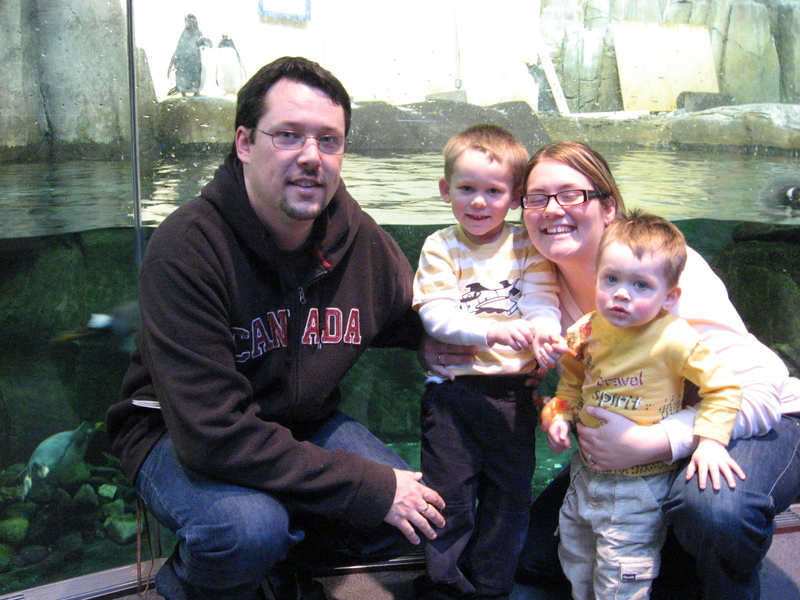 Not wanting to waste a Sunday morning and all the work it took to get everyone out of the house, in the van and to the east end, we drove around the block to the Montreal Biodome. It was lots of fun seeing all the animals in their (artificial) natural habitats. And who doesn't like penguins. Coincidently this outing impressed on me yet another reason why I have to start taking the boys to church. There was a class from a private girls school / convert (I'm guessing) being chaperoned by a few nuns. One of the nuns offered to take a family photo of us. After I thanked her and she walked away Ethan said that she was the Witch of the Waste from Howl's Moving Castle. From the mouths of babes. Anyone living in the great white north this winter is already a little short on patience when it comes to the almost record breaking snow falls we've had (so far). So understandably snow rage is being reported across Quebec. But in all fairness it does seem a bit of sensational journalism as the same few instances are being repeatedly picked up by the media. 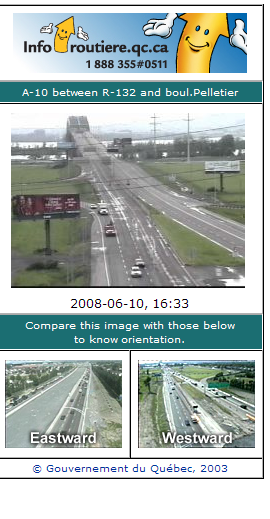 But if you are interested, both Reuters and Spacing Montreal (my new favorite blog) have articles about it. For those of you in warmer climates and never enjoyed a Montreal winter, Chicagoan in Montreal has a great post (photos and all) about the work that goes into snow removal here. 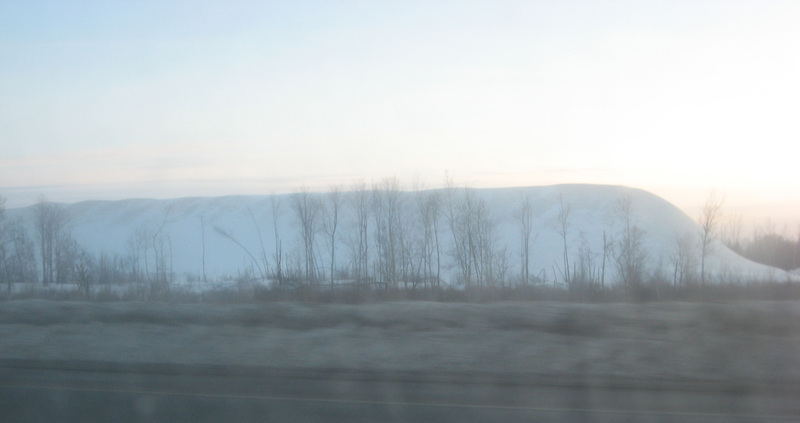 And finally, here are some much better photos then mine of the mountains created by snow removal around Montreal. 30cm of snow and it's coming from Texas? Thanks snoringkatz. ;-). At least we didn't have plans for Saturday to get ruined. Now we'll be shoveling snow. You know it's bad when the city has to ask the Provincial government to allow snow removal works do more over time. 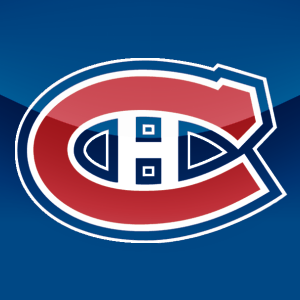 I'm not a hockey fan (I'm sorry) which sometimes a little strange since I've lived my whole life in the suburbs of Montreal. Of course I don't get excited over other sports either so meh. 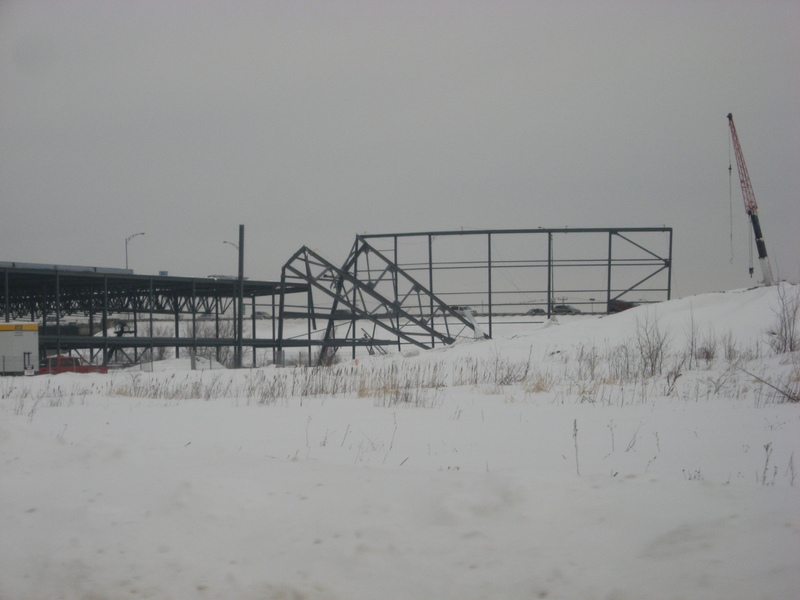 I did get excited when I heard that the Montreal Canadians were building a training center in my town. It's going to be a state of the art facility with two NHL spec rinks and a FIFA spec soccer (or football depending where you're from) field. 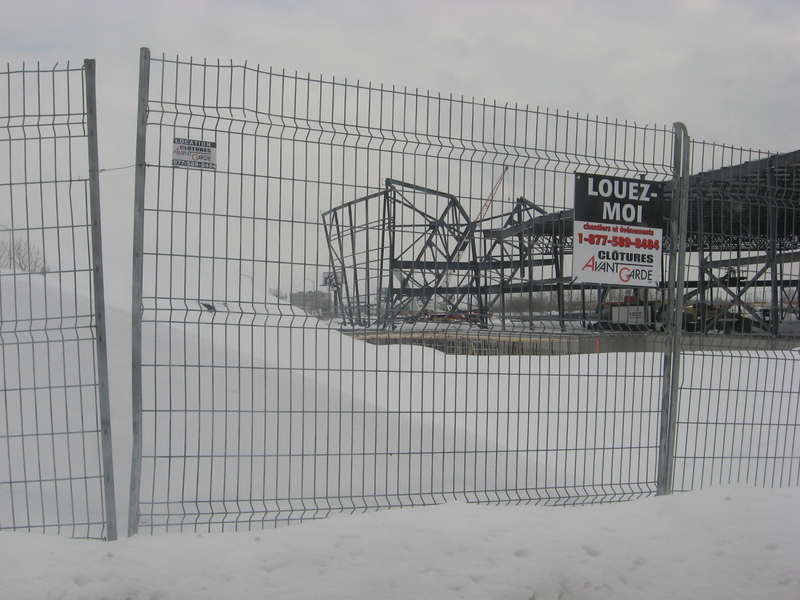 The town is going to get to use the rink which will be really cool for kids to play there when the Canadian aren't. I'm sure this will pay off when the kids are of team sports playing age. There will also be a restaurant, bar and of course monitory gift shop. 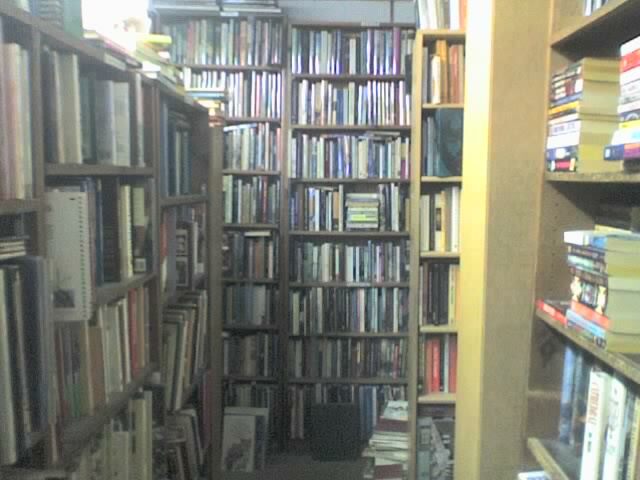 Last week though part of the center collapsed. Luckily no one was seriously injured. There was some orange do not cross tape up and a little security car I guess to make sure people don't got mucking about. As you can see, it doesn't look like they have it all cleared away yet.